The Autel AL319 OBD2 scanner is capable of solving this issue. It is a powerful diagnostic tool for automobiles. Moreover, it is designed as a plug and play code reader that can be used effectively with little training or know-how. 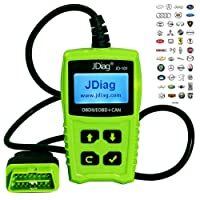 This OBD2 scanner can turn off the ‘Check Engine’ light, clear the code and reset sensor monitors. It can also help you to view freeze frame data, show the monitor, and your I/M readiness or emissions status. The device can do much more as indicated below. This code reader is developed such that it can retrieve information from the computer system in your car. It can retrieve identification data such as the VIN, CVN and CIN numbers. The best feature it has is that it can identify the cause of your engine light flickering on and off. Quite a number of car codes can be retrieved by this device. It can read generic data such as P0, P2, P3, and U0 codes. The same device can read manufacturer data such as P1, P2 and P3 codes and display them on a color TFT screen. The Autel AL319 is designed such that you can simply plug it into the port in your car and it will automatically turn on and display data. Due to this fact, is easy to use even for beginners. The unit can work comfortably for cars manufactured in 1996 and later. You can read your car’s data in the language which you most understand. The code reader can be set to display information in English, German, French, Spanish and many more. As such, by manipulating the settings, you can have it show codes in a way you comprehend. 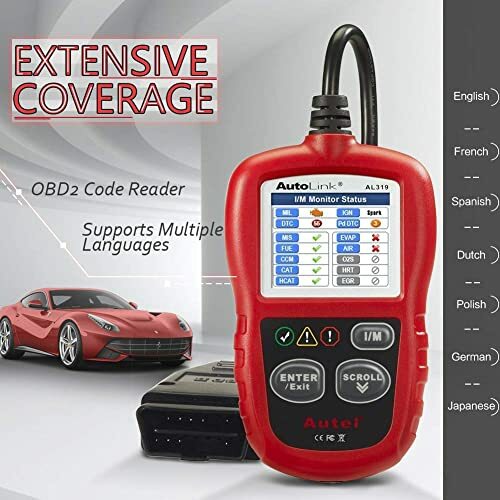 Autel AL319 is an OBD2 code reader that supports multiple languages. There is a lot that you can do with this scanner. Firstly, it is compatible with both domestic and import cars featuring OBD II or CAN technologies. 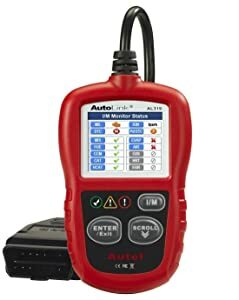 The Autel AL319 can also turn off the ‘Check Engine’ light, clear the error codes, reset monitors and allow you to see the car’s freeze frame data. You can discover your car’s emissions status by using this code reader. Furthermore, it can read the PCM data live-stream. Moreover, you can use it to view the identity information for any vehicle such as the VIN number, CVN, and CIN too. Upon using this OBD2 scanner, you can view quite a number of different types of codes. The Autel Al319 can read both manufacturer and generic ones. In addition to that, it can read pending codes and DTC definitions on the TFT screen too. To start up the unit, you only have to click on it once. The device does not need any batteries or chargers because it gets its power directly from the OBII Data Link Connector. By clicking on it only once, the unit can show your car’s I/M readiness, drive cycle and error codes too. The Autel AL319 has some brightly colored LED lights and a speaker which is built in. As such, the device can inform you of your car’s readiness in whichever way you desire. Thanks to this feature, the code reader is fully multimedia in nature. The manufacturers of high-quality products normally assign warranties to them. Upon purchasing the Autel Scanner, you can enjoy a warranty period of one year. Furthermore, you have access to unlimited, free updating for a lifetime. This car code reader is fitted with a TFT screen. It displays data in color and has a pixel density of 220 x 176 dpi. The display measures 2.4 inches in size and allows for a clear reading of your car’s data even in low light conditions. 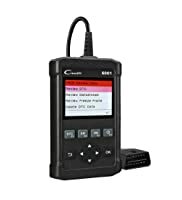 For extra usability, this code reader can handle a range of operating and storage temperatures. It can work properly in temperatures ranging from 0 to 60°C (32 to 140°F). You can also store it in locations having a temperature of between -20 to 70°C (-4 to 158°F) and it will still work perfectly. Autel AutoLink AL319 can read codes and vehicle information. The Autel AL319 has a color screen measuring 2.4 inches. Experienced car owners and professional mechanics can agree that this is too small to read lots of data with one glance. In addition to that, it is not a touchscreen. The unit has a very short connecting cord. You have to sit inside your car and lean forwards towards the dashboard to access the connecting port. Furthermore, the short cord makes it difficult for you to share the display with someone else during the assessment. This OBD2 scanner is fairly expensive. That is because it is a high quality, premium OBD II scanner. As such, its high price puts it out of reach for regular drivers in search of diagnostic devices. This OBD2 scanner has been designed such that it can be used by average car owners. It is easy to manipulate. 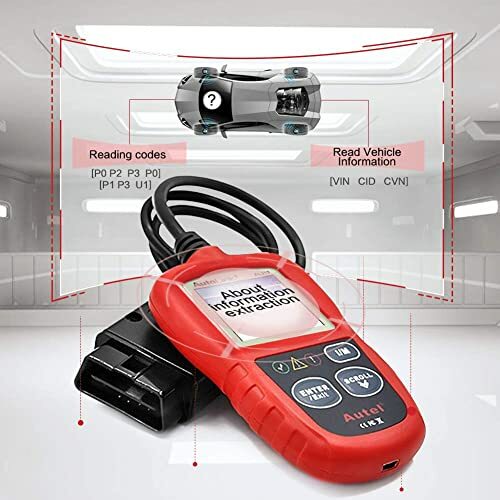 Ideal for regular scanning of your car, it is a highly versatile device. The Autel AL319 is one of the most ideal and capable auto diagnosis units in the market. The device has a collection of features which make it more user-friendly and it is compatible with vehicles manufactured from 1996 and later. Upon purchasing it, you can get a warranty lasting a year, customer support and unlimited software updates over the lifetime of the unit.